So i pretty much HATE any type of bug with a passion... Ask Trevor, i freak out about bugs. They seriously creep me out and they are so gross... So i had a wonderful experience this past Sunday with bugs. Yeah definitely not wonderful at all. You will probably want to puke after reading what happened to me. I almost did. So we just got out of sacrament and headed over to the primary room for opening exercises with our seven year old class. I went and sat down by the kids. A little boy in our class named Logan said "Umm... Alyssa you have a bug in your hair." At this moment i was just expecting a little bug but when i placed my hand on my head it was a COCKROACH!!!! I freaked out and threw it off my head and really couldn't believe that that just had happened to me. It was the most disgusting thing EVER!!!! All the kids, of course, started laughing at me... Someone finally killed it and that put me at peace. Did i mention that i really hate bugs?? Yeah i thought i did. 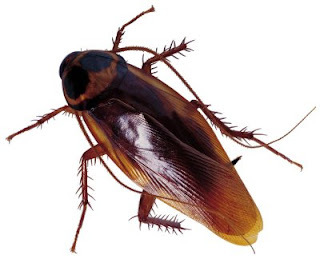 So the Primary president comes up to me and she said that cockroaches climb the walls all the time in that room and that i must had leaned against the wall and it climbed on me. I will never make that mistake ever again in that primary room that is all i can say ha.